Our honeymoon package is a perfect start to celebrating your new life together. 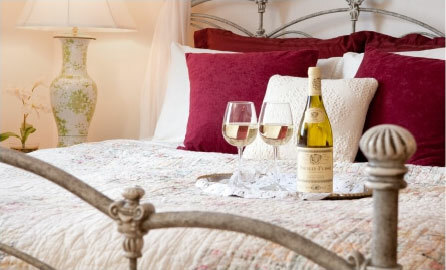 Take in the romantic beauty and peaceful setting of the country during your stay at Stonecroft Country Inn while enjoying the splendor of the sea and countryside of Mystic. Make memories to last a lifetime with our Honeymoon in Mystic Package. Three night’s accommodations in one of our Yellow Barn Suites. Relax in front of the fireplace (seasonal) or enjoy an in-room movie from our movie library. Enjoy a quiet and peaceful deck overlooking the gardens. A dozen red roses arranged in a glass vase complete with baby’s breath and greenery. A bottle of Prosecco and chocolate strawberries to toast and celebrate your new life together. Tickets to either Mystic Aquarium or Mystic Seaport (good for 2 days with validation). Couples’ Swedish massage at the Red Door Spa just minutes from the inn (spa gratuities additional). 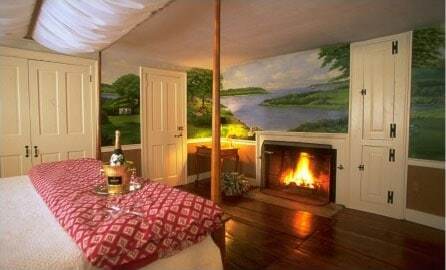 Our three-night Honeymoon in Mystic Package is priced at $455 plus room accommodations in our Yellow Barn Suites (taxes and gratuities not included). Not available during holidays or holiday weekends including Valentine’s. Our Honeymoon in Mystic Package may not be combined with any other offer and third-party gift certificates are not accepted.